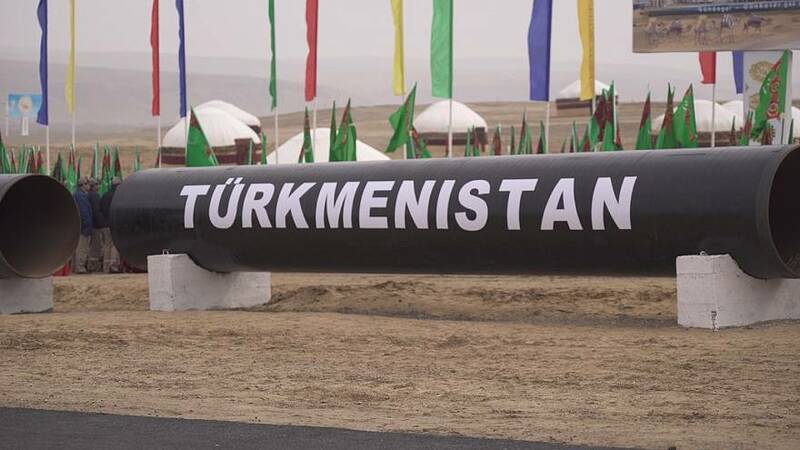 The leaders of Turkmenistan, Afghanistan and Pakistan celebrated with the foreign minister of India the completion of the Turkmen section of the trans-Afghanistan pipeline which will transport natural gas from Turkmenistan to Afghanistan, Pakistan and India. “From 2015, we have done a lot of work in order to reach the current phase of the project,” explained Muhammetmyrat Amanov, CEO of the TAPI Pipeline Company. Terrorist attacks in Afghanistan are of great concern to everyone involved in the project. The Taliban have declared that they wish to destroy the pipeline. Afghan authorities say all necessary measures have been taken. “Afghanistan is of course a country which has high risk of security, but in the mean time, we have full preparation from the governments’ side for protecting TAPI,” said the acting minister of mines and petroleum of Afghanistan, Nargis Nehan. The pipeline will run more than 1,800 km to the Fazilka Village on the Indo-Pakistani border. It will provide Afghanistan with 14 million standard cubic metres per day of natural gas, while India and Pakistan will each receive close to 40 million standard cubic metres. Turkmenistan always had large gas fields, but its transfer to other countries proved difficult. TAPI strengthens the economy of central Asia, opens up new fields of cooperation, while it boosts the energy sufficiency of the four countries involved in the project. “Afghanistan needs economic stability in order to create political stability,” said the Emirati economy minister, Sultan Bin Saeed Al Mansoori. The importance of the TAPI pipeline was underlined by the presence of many government representatives from the wider region. They all highlight the fundamental role of the pipeline for the future prosperity of the four nations.